This is a new event this year we wanted to share with everyone! Sounds like a fun time awaits us! Wears Valley wants to take you back in time to the days of old-fashioned Christmas trees, horse-drawn wagon rides, hayrides, and storytelling. Lots of fun awaits you in the Valley during the holiday season. 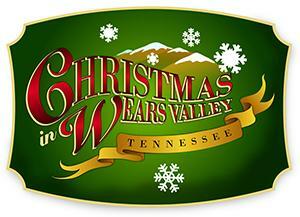 A four-week long event, "Christmas in Wears Valley" will begin with a tree lighting ceremony at 6:00 pm on Friday, Nov. 29, 2013 at Wears Valley Ranch which borders Great Smoky Mountains National Park. The event will run through December 31st. In the late-November dusk on Nov. 29th, choirs will gather at Wears Valley Ranch, 3601 Lyon Springs Road, Sevierville, TN for a magnificent tree lighting ceremony. A blazing bon-fire will warm the night air as favorite Christmas carols warm our hearts as a trumpet plays. A rich tenor voice singing "Oh Holy Night" with the words echoing throughout the Valley could cause us to hear the angels' voices. After the final "Silent Night," everyone heads to Friendly Falls for "The Best Cup of Hot Chocolate in the South!" Earlier in the day fun attractions, stores, art galleries, and restaurants will be bustling with activity. Food vendors at Cove Creek RV Resort on Wears Valley Road will be serving up tasty items like barbecue pork, turkey legs, Philly cheese steaks, smoked sausage, chicken, ribbon fries, funnel cakes, corn dogs, and caramel or candy apples. A tree tour throughout the Valley will feature trees decorated the old-fashioned way. Hayrides, horse-drawn wagon rides, and carolers will liven up the day's activities.